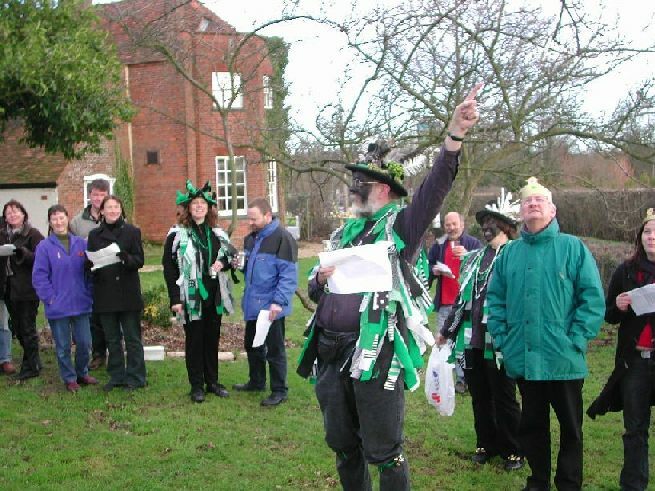 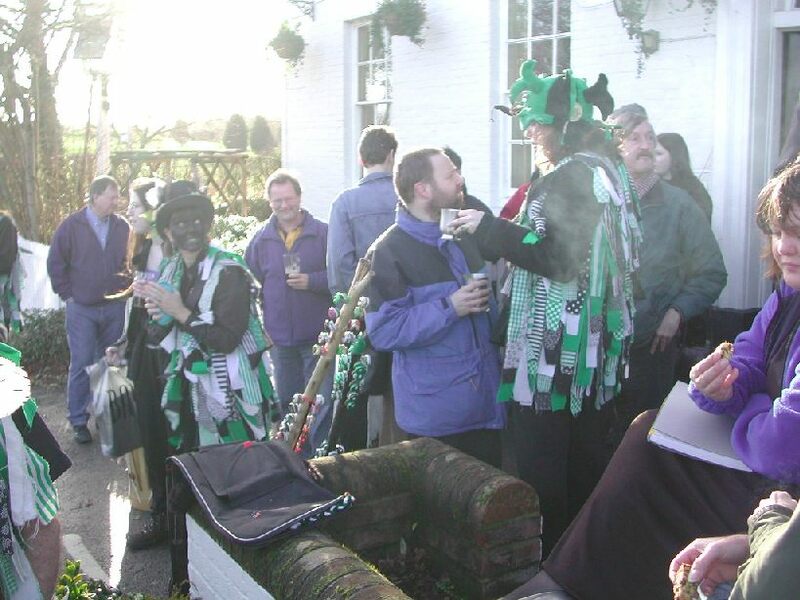 Our sixth wassail was accompanied by some average weather - nonetheless we conducted the ceremony with due reverence for the tradition and got inside the pub for a mummers play and a protracted session. OBJ members in attendance were Abi, Anne, Bob, Colin, Chris, Dave K, Doug, Ian O, Jenny, Linda, Mike G, Mike S, Nikki, Pam, Susie, Tony and Vera. 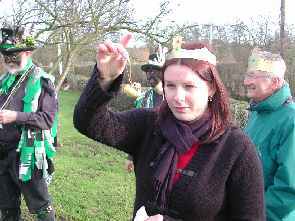 King Neil I and Queen Fiona I presided over the ceremony, having selected the piece of Wassail Cake containing the bean. The "traditional" songs were duly sung. Queen Fiona holds up the wren ready for it's ordeal. 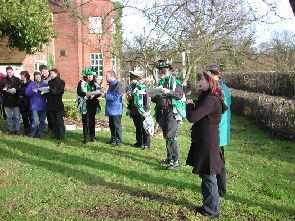 The wren duly laid to rest. 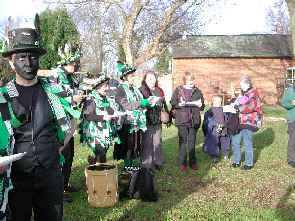 No harm was done to animals in the production of this wassail. 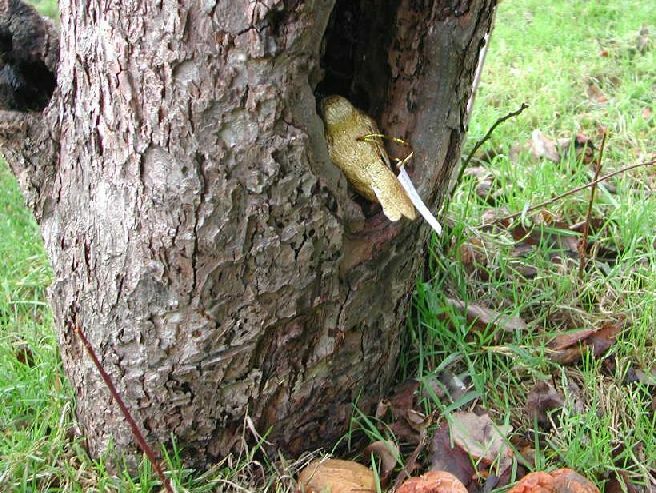 Lacking even a substitute shotgun to fire into the branches of the tree, improvisation took over. 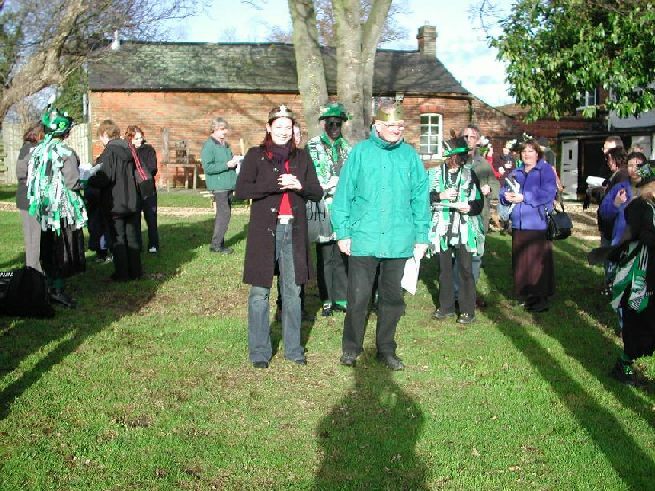 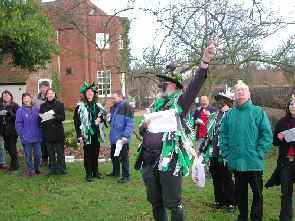 Then we hung around in the winter sunshine while it lasted before entering the pub for the mummers play and session.